Mission Hills is where the gifts are. 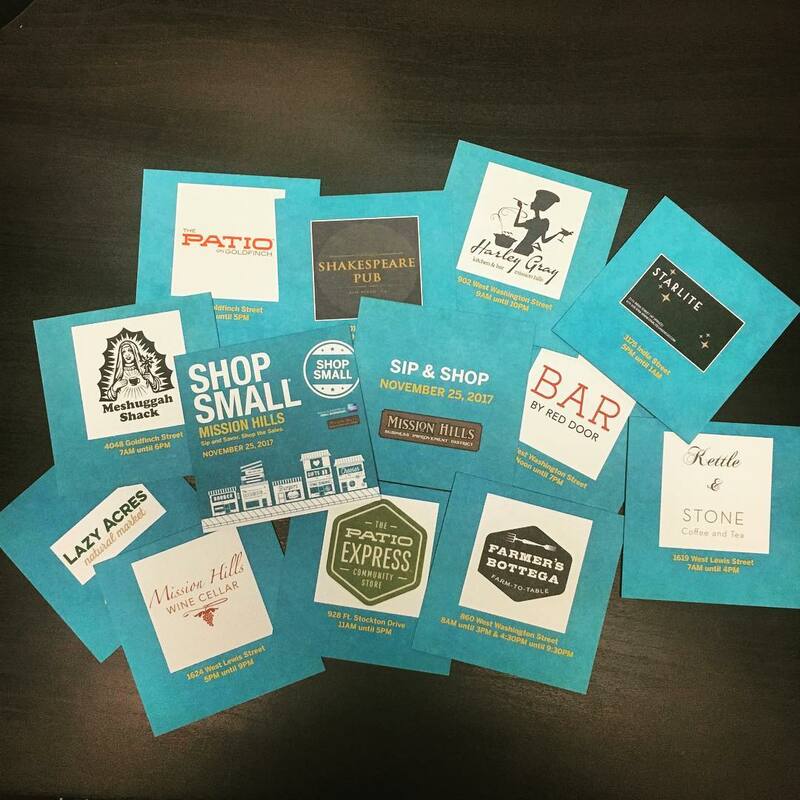 Our merchants are celebrating Small Business Saturday and ready to welcome you. On Saturday morning, November 25th, stop by the 4010 Goldfinch parking lot for FREE fun-filled Shop Small bags and a guide to the day’s Sips. Hop on FREE trolleys to Sip & Shop and embrace our unique and lovely neighborhood. Shop Local. Shop Small. 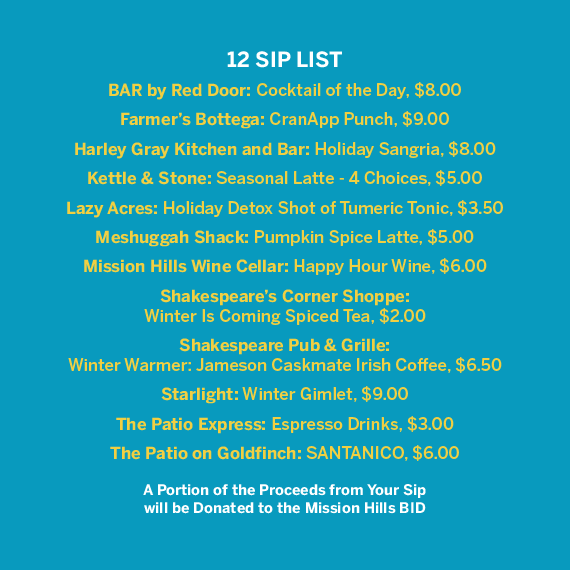 Sip & Shop the Neighborhood. A limited quantity of Sip List Guides are available. Visit our Shop Small page to learn more about this fun shopping event and how to obtain a Sip List Guide before supplies run out!